This is the fifth in a series of ten articles, released weekly, counting down the ten greatest teams in the history of football. The teams were selected based on the trophies they won, the cultures they created, and the effect they had on the game of football. In the past three seasons, Real Madrid won the Champions League three times in a row. Such an astonishing achievement solidified them as true conquerors of Europe. With players like Luka Modric, Sergio Ramos, and, of course, Cristiano Ronaldo – this was one of the best Madrid sides of all time. In 2016, when Zidane was installed as manager, Madrid now had a galactico on the sidelines directing galacticos on the pitch. Though this Madrid side did not achieve much success domestically, they established a record that will develop into a jaw-dropping legacy in decades to come. Though they ruled Europe for three years, a harsh reality underlies their achievements – they aren’t the first Madrid side to do it. And compared with the Madrid side of the late ’50s which first achieved this accomplishment – they aren’t even close. 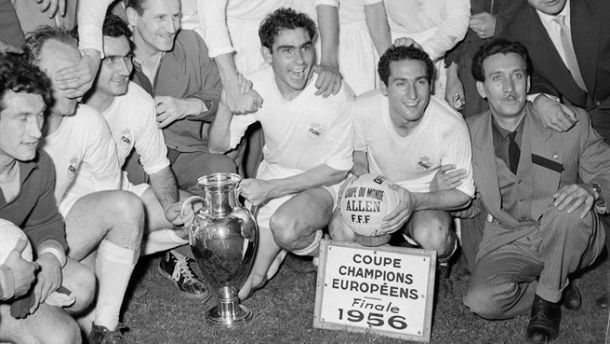 From 1956 to 1960, Real Madrid won the European Cup five times in a row. And, like the ’27 Yankees or the ’96 Bulls, they won with a lineup of some of the greatest players to ever grace the game. Alfredo Di Stefano, Raymond Kopa, Francisco Gento, and Ferenc Puskás were the original Galacticos, players who buit the modern game as they played it. This was a team that defined the European Cup in its earliest form. A team that first toured the globe to establish a global brand. A team that developed the reputation of what is now the most decorated club in European football. This was Real Madrid from 1956-1960. Before any European Cups entered the trophy cabinet at the Bernabeu, however, Real Madrid had to assemble one of the greatest squads the world has ever seen. In the summer before the 1953 season, 27-year-old Alfredo Di Stefano had established himself as the golden goose of world football. Then a star for Colombian side Milianaros, Di Stefano was already a legend in South America. After making his debut for River Plate at age 19, he would become the top goal scorer in their title-winning season two years later. The “Saeta Rubia” – Blonde Arrow – was cementing his identity as a winner. In the summer of ’53, after being extensively courted by both Barcelona and Real Madrid, Di Stefano decided on the capital city as his next home town. His signing for Madrid was so controversial that many Barcelona fans still accuse Spanish Dictator Francisco Franco of using his influence to send the prized Argentinian to the Bernabeu. Why are Barcelona fans still so enraged over this seemingly insignificant controversy? The answer is simple: Alfredo Di Stefano went on to become the greatest player in Real Madrid’s history and – as some Madridistas would argue – the greatest player of all time. In the eleven seasons Di Stefano played for the club, he won eighteen trophies, scoring 308 goals along the way. The Argentinian won the Balon d’Or in ’57 and ’59 and then the Super Balon d’Or in ’89 – a special award given to him for his outstanding achievements in football. Alfredo Di Stefano enabled Madrid to play the kind of football that redefined the game. In an age where tactics were rudimentary and creativity was discouraged, Di Stefano stood out. Michel Platini emphasized his influence saying, “Di Stéfano was superb technically, possessed outstanding speed, and was a splendid goalscorer. Together with his talented team-mates, he helped invent modern football. He embodied all that is magical about football." Technically, Di Stefano was a total footballer whose physicality, skill, and ingenuity could have dominated at any position on the field. Though Di Stefano’s record can make even the most passionate Catalan drool, it would make Francisco Gento chuckle in amusement. Gento, a constant threat on the left wing throughout Madrid’s golden years, became the only player in the history of the game to win six European Cups. Gento also holds the joint-record for the most appearances in European Cup finals (eight) with Paulo Maldini. Gento was known for his blistering pace, inspired dribbling, and perfect crosses. Playing alongside Di Stefano, Kopa, Puskas, and Rial, Gento’s contributions were critical to such a lethal front line in each of their five European Cups. The “Gale of the Cantabrian” has become one of the most heralded players in Madrid’s history. His 18 seasons and 761 matches for Madrid were capped with a European Cup victory in 1966. In 2016, the club adorned him with the title of honorary club president. This dominant side, however, was never complete until they signed a chubby, 31-year-old Hungarian whom everyone believed to be past his prime. When Ferenc Puskas, arrived at Real Madrid in 1958, he entered with an impressive record that gave him the reputation as one of the greatest strikers in the world. At his former club, Honved Budapest, Puskas had been the critical factor in their five league titles. The left-footed striker had also been an integral figure in the great Hungarian national team that won the 1952 Olympic games. Throughout his career Puskas led the “Magical Magyars,” as the English Press were quick to label them, scoring an astonishing 84 goals in 85 games for his country. Once at Madrid, Puskas kept up his contagious goalscoring. In 262 games played, Puskas scored 242 goals for Los Blancos. Though he was absent for the final of ’59, Puskas put on a masterclass the following year, scoring 4 goals against Eintracht Frankfurt to win the European Cup for Madrid. In Madrid’s period of dominance, three managers oversaw their development into a relentless, trophy-winning machine. The squad was initially managed by Jose Villalonga who led them to their first two European Cups. After his departure, Madrid hired Argentinian Luis Antonio Carniglia who oversaw the acquiring of Ferenc Puskas and the success of both the ’58 and ’59 campaigns. Finally, the club was handed over to Miguel Munoz – a midfielder who had been in Madrid’s squad during the first three European Cup victories. Munoz led the squad to victory in ’60, the fifth consecutive European Cup. Tactically, each manager brought their own nuances to the squad, however, the philosophy had already been set by the players involved. With Puskas, Rial, Gento, Di Matteo, and Kopazewski (Kopa) – the ruthless French forward who arrived from Reims in ’56 – the attack was always going to be the focal point. The managers deployed variations of an ultra-aggressive 3-5-2 or 3-2-4-1 which deployed Gento and Kopa to the wings with Puskas, Di Stefano, and Rial in a staggered triangle at the center of the attack – the tip of the spear. Their attack was unquestionably successful. In their five consecutive European Cup victories, Madrid scored 20, 20, 25, 16, and 31 goals in each respective tournament. In 1956, in the first ever European Cup Final, Jose Villalonga’s Madrid beat Reims 4-3. Twice, Real Madrid came from behind before being crowned champions of Europe for the first time. After going behind 2-0 by the 10th minute, strikes from Di Stefano and Rial drew Madrid level before halftime. After Reims regained the lead in the 62nd minute, Marquitos and Rial both scored in the following 15 minutes, securing victory for Los Blancos and sending a strong Reims side into record-book oblivion. In 1957, things wouldn’t get much better for Colonna. Raymond Kopa, Stade de Reims’ striker in the ’56 final, moved across the Pyrenees to play for Madrid. That year, Kopa started on the right wing for Madrid’s 2-0 victory against Fiorentina in the European Cup Final. In front of 124,000 Madridistas, Di Stefano scored again, delivering Madrid their second title. The following year’s final took place at the Heysel stadium in Brussels versus a resolute AC Milan side. Though Di Stefano and Rial scored twice in five minutes near the end of the second half, AC Milan matched them with goals of their own at the other end. After 90 minutes, the game was sent to extra-time – a first for the European Cup. Determined to stamp their name in the record books for yet another first, Real Madrid scored in the 107th minute thanks to Francisco Gento. 1959 saw Real Madrid take on previous foes Stade de Reims in Stuttgart, West Germany. This time, Real Madrid made sure they would not have to come from behind as they did for their first title. After Madrid’s attacking midfielder Mateos scored in the first minute of action, Alfredo Di Stefano scored his required goal to secure victory for Real. Finally, Madrid won their fifth consecutive European Cup on the 18th of May, 1960 in front of 127,621 fans at Hampden Park, Glasgow. Their victory on that day was Madrid’s greatest in five years participating in the European Cup. Madrid won the 10 goal thriller 7-3. Their victims, Eintracht Frankfurt, suffered seven goals, four from Puskas and three, of course, from Di Stefano. Their victory in Scotland may have been the absolute peak of their dominance. The next year, Real Madrid were eliminated in the first round to – fittingly – Barcelona. Finally, after five long years, Madrid had been toppled from the peak of European football. Though they would not return to European glory until 1966, Madrid’s reputation as the greatest club in Europe had been established. In total, the club has won the European Cup and Champions League a staggering thirteen times. Their most significant achievement, however, cannot be found in their trophy cabinet. 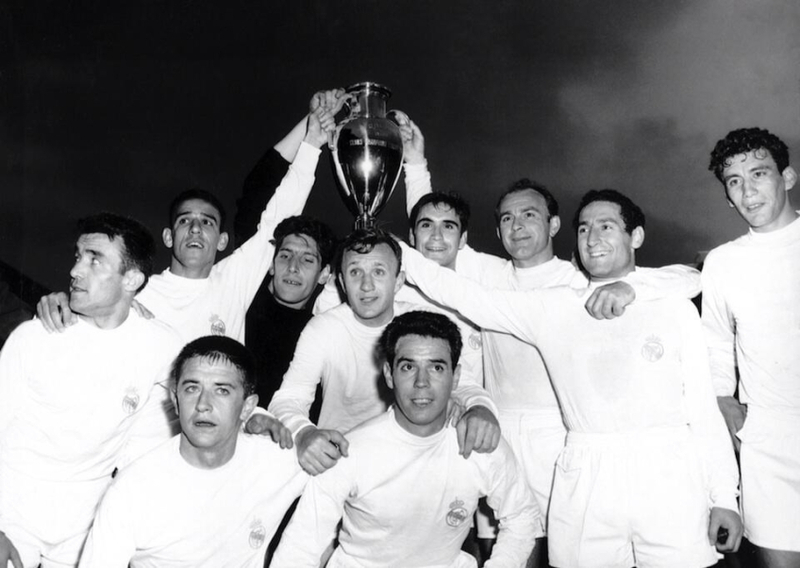 By winning the first five European Cups to take place, Madrid marked the competition as their own. 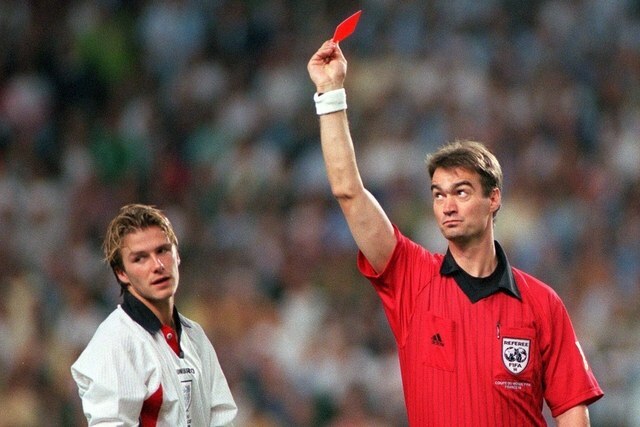 Now, whoever wins the tournament must frame their victory in the context of Madrid’s oppressing success. In the style of Francisco Franco, Madrid have exerted total control on European competition, refusing to let any club revel in their achievement for too long. In the foreign land of the past, these events existed as moments of adrenaline which came as quickly as they left.